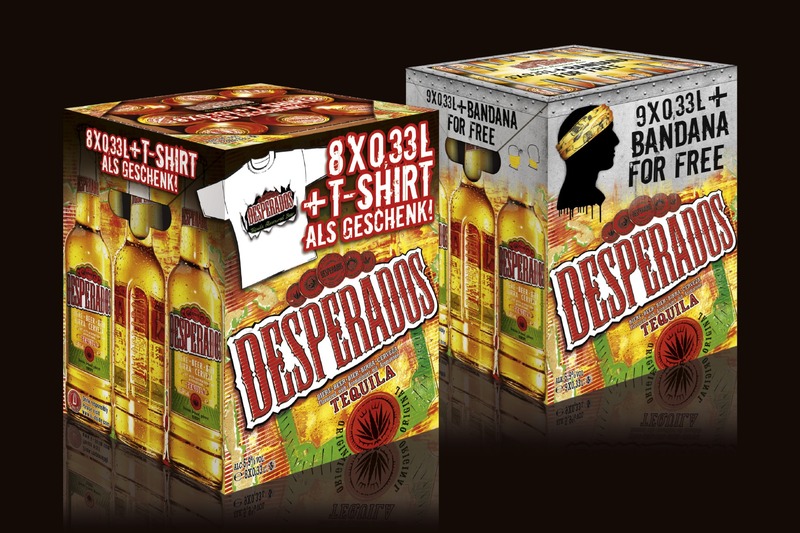 Desperados, the „Tequila flavoured beer“, conveys a special way of life with unique taste, design and style. Young, wild and unorthodox – that’s the appearance of this lifestyle product, extraordinary savour with an exotic touch, ideal to be consumed in trendy gastronomy, while attending exceptional events and as a trendy party drink. For this funky beer brand Pichler & Gattringer designed a promotion box available on the international food retail market.